to see all the inspiration the entire team has for you. 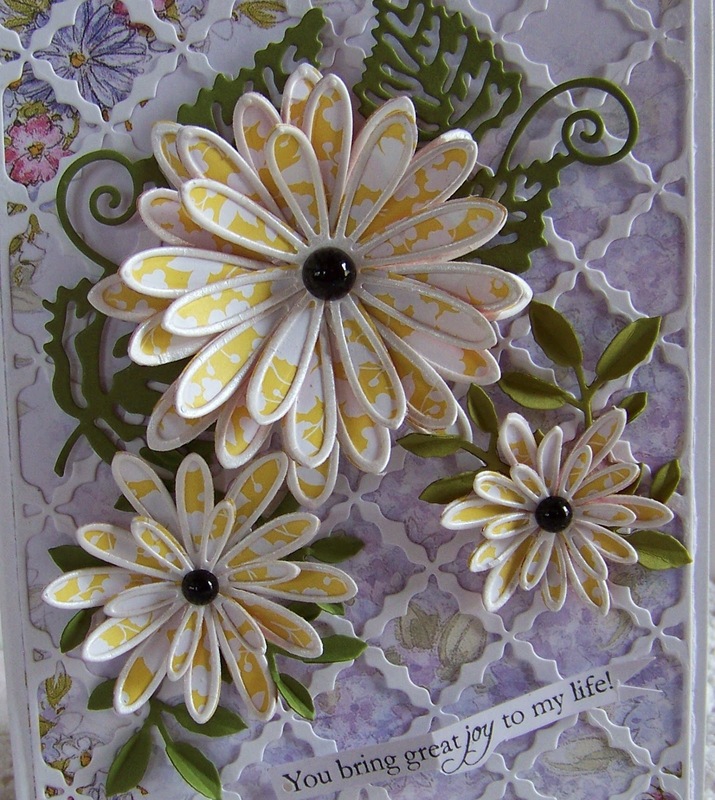 Sue Wilson Delicate Daisies Complete Petals. giving the flowers a bit of shimmer! a fast drying, easy to use glue! or they make a statement just on their own!! Cheery Lynn Designs French Lattice Small. I love how pretty the lattice dies are. I encourage you to visit the Dies R Us Store. I'll see you next Thursday!! 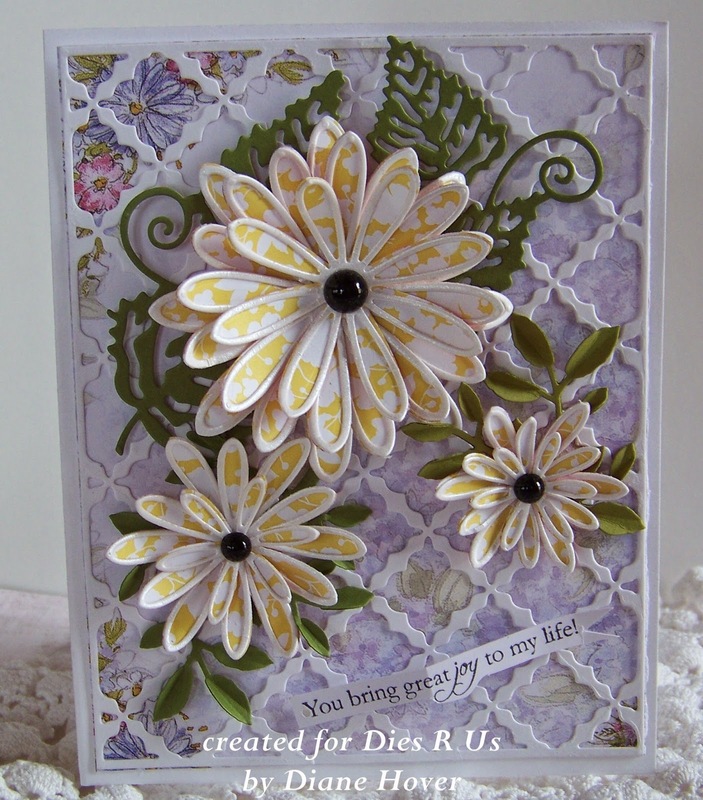 Oh....don't forget to enter our Dies R Us challenge blog, too. There is always a fabulous prize to be won!! Fantastic card, Diane! Beautiful flowers & beautiful design! !